William Shakespeare once said, “What’s in a name?” Well, it turns out just about everything. With over seven billion people on the planet today vying for each others’ attention, a name often gives the first impression of one’s identity. Picking a name for a newborn in this context can be a daunting task, as it will impact his/her entire life ahead. Moms and dads should thoroughly check out a name before adding it to their shortlist. Having a child is a joyful event. Choosing a name is a privilege that all parents have. Moms especially love fantasizing about possible baby names. 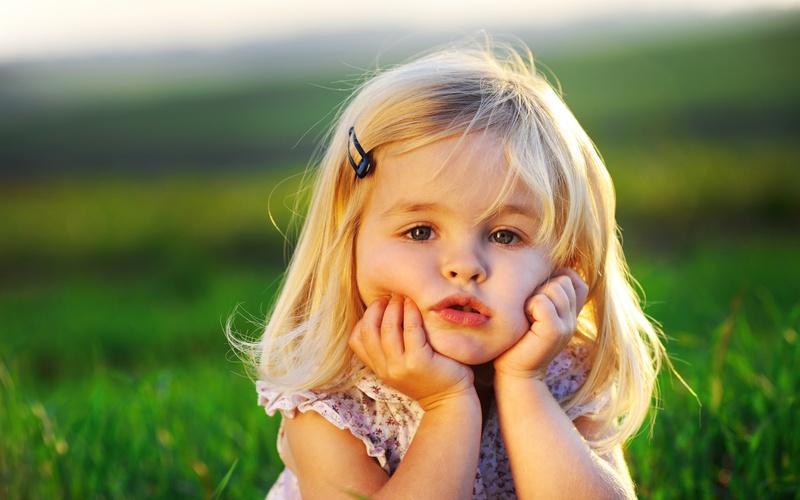 There are so many lovely names with beautiful meanings that your child will thank you for. It’s best to go through as many diverse names as possible before making this decision. Here is a list of twenty-five beautiful baby names that not only make our heart skip a beat, but any child will be proud to bear them too! You are going to have a tough time choosing just one from this list, so maybe you can keep a few in store for your next child as well. Good luck! Arya is a common Indian and Iranian name and is suitable for both boys and girls. Although it is only used for boys in Iran, its variation ‘Aria’ is used for girls all over the world. Depending on the culture, ‘Arya’ can be interpreted as being ‘noble and honorable’, being ‘friendly’ or even being described as a ‘melody’. It is a derivative of ‘Aryan’, another popular name in India. Individuals named Arya are generally very talented in creative pursuits. The name has been rising rapidly in the popularity charts owing to Arya Stark, a popular fictional character in George R.R. Martin’s ‘A Song of Ice and Fire’ and its TV adaptation ‘Game of Thrones’. If one names their baby ‘Arya’, not only will they make heads turn throughout their lives, but the sheer beauty of the name will ensure that they always have a handy conversation starter to break the ice with strangers! The name Maya is usually given to girls, and has many meanings. In Latin, it represents ‘greatness’ or ‘largeness’, whereas, in Sanskrit, it refers to an ‘illusion’. In Hinduism, it is also another name for the goddess Durga and was also the name of the mother of Siddhartha Gautam, or the Buddha. In Hebrew, the name means ‘spring’, whereas in old Persian it means ‘generous’. It is also a part of several popular Japanese names like Mayako or Mayaka. In the Nepalese language, ‘Maya’ means love. For the Romans, Maya meant goddess earth or nature, and they named the month of ‘May’ after her. With so many beautiful meanings and interpretations, the name has become irresistible in the last few years. People from all over the world are naming their daughters a variant of ‘Maya’, and as a result, there are several girls named ‘Maya’ in the public spotlight today. Despite it being frequently spotted, the name still holds an almost exotic and mystic charm to itself and continues to be a popular choice owing to its easy pronunciation. Aiden comes from the name of the Celtic sun god Aodhan and translates to ‘fiery’ in a literal sense. The Celtic-Gaelic-Irish origin word has been a popular name for years, especially in Europe. It has been believed to be derived from a famous 7th century Irish monk. Although it has conventionally been a boy’s name, today a popular variation with the spelling Aidan, is used for girls as well. Many famous football players, and fictional characters in popular books and television series have been named Aiden, which has resulted in the name being very popular, especially over the course of last two decades. If a baby is named Aiden or Aidan, their nicknames could be: Addie, Denny, Ads, Aide, Addy, Aido etc. Rest assured, people named Aiden or Aidan will impress others with their simple, unique and beautiful name at every stage of their lives. The name Dahlia comes from a flower which was named in the honor of the visionary Swedish botanist Anders Dahl. Despite its Swedish and Scandinavian origin, in the English language, the name signifies elegance and dignity. It was really popular in the 18th century and is now again witnessing a rise in the number of people choosing the name for their daughters. People named Dahlia are expressive, mature and thoughtful. They are tactful and have the ability to take a wise call, even in situations of high pressure. With numbered people in the public eye named Dahlia, and limited representation in books, television, and movies, the name remains one of the more unique names for girls today. If exquisiteness and elegance are the only two criteria to be considered, Dahlia is a perfect choice. The name can also be used to conjure up a variety of nicknames like Dahl or Lia. Aviva means ‘springtime’, ‘youthful’ or ‘innocent’ and is a magnificent name for a girl. It is a fresh and memorable name, and has Latin and Hebrew origins. It is a pleasing version of the popular Vivienne. Girls named Aviva are often spiritual and empathetic, and believe in the greater good. Innate leaders and managers, people with this name grow up to be powerful personalities in their adulthood. Creative, authoritative, proud and intelligent, people named Aviva are destined for greatness. People named Aviva are social, friendly, charming and often too good for their own sake. They value their independence and are never afraid to take a stand for what is right. Although still rare, the name Aviva has seen a surge in its popularity levels ever since Angelina Jolie and Brad Pitt named one of their twin daughters Aviva. Popular nicknames could be Avi, Avee, Viv, Iva, or Vivs. Jaxin, which sounds very similar to Jaxon, or even Jackson, is an American-origin name and can be loosely defined as ‘Son of Jack’. Another translation of the name suggests that it could mean ‘god has been gracious’. People named Jaxin, or Jaxon, are naturally quiet and introspective. They are creative, courageous and rebellious in nature and work best on their own. Some of their other qualities are being independent, resourceful, patient and practical. Although the popularity of Jaxin and Jaxon has fluctuated over the last few years, it remains a trendy, modern and definitive name for boys today. Nicknames like Jax, Jack, Jacques will make the already special name extraordinary. A son named Jaxin is likely to have a unique, powerful and striking name, and impress those in his life with its distinct style and spelling. Cleo is the shortened form for Cleopatra, one of the most talked about women in world history. The name, meaning ‘acclaim’, is used for both boys and girls, and was at its peak in the last century. Others opine that owing to its Greek origin, Cleo actually means ‘vision of glory’. Although its popularity may have ebbed relatively, Cleo remains one of the most sought after names in the modern world and was one of the biggest names of the last century. People named Cleo have many skills and talents. They are thoughtful, kind and emotional, and can handle stressful situations with ease. They are generally very successful in life, and know how to make the most of an opportunity. Several successful women named Cleo have made a name for themselves in fields like music, dance, entertainment, comedy, fashion etc. The name has also regularly featured in television and movies. Emma is a classic English name which is extremely popular in the USA and the UK. The name has a rich history and is the first choice for parents of all ages, which explains its consistent placement in the top ten names in both the countries. The meaning of Emma is ‘universal’ and can be traced to Latin roots. The name also has just the right touch of royalty to it, while being simple and easy to pronounce. Emma Watson, Emma Thompson, and Emma Stone are some of the popular actresses with the name Emma. The name has also been immortalised in Jane Austen’s novel ‘Emma’. The name got trendy again after Rachel and Ross, the popular couple of the wildly hit sitcom Friends, named their daughter Emma on the show. Common nicknames for Emma could be Em, and Emms. If a graceful, classic and timeless name is the mandate, think no further than Emma. Jasper, an already famous boys’ name in USA and UK, is one of the most beautiful and multi-layered names that exists today. Jasper is the English form for one of the Three Wise Men who brought presents at the time of Christ’s birth and also appears in the Bible. People named Jasper are responsible and trustworthy individuals. They chase perfection and are not willing to cut corners in anything they do. They generally believe they work best alone, which can cause some trouble in their relationships. The name Jasper has been a common name in literature, featuring in the works of Sir Walter Scott, James Fenimore Cooper, Thomas Hardy and Stephenie Meyer. Jasper Johns was also a massively successful and famous American artist. While predominantly a boy's name, the name Jasper has been slowly given to girls as well in the last few years. The name Indigo is derived from a deep shade of purple and has a Greek origin. Indigo means the ‘blue dye from India’ and was known for its rich and deep hue of blue. Indigo continues to reign supreme in the category of colour names, and has caught the liking of several parents for being artistic, appealing and attention-grabbing. People named Indigo are generally very patient and calm. They have a practical and logical approach to solving challenges, and are very systematic in their planning and management. People named Indigo, value independence and freedom and tend to value all work, big or small. This unisex name has been used in music, films, television and cinema rather sparingly, which explains its relative low usage among the masses. Pet names like Indie, Dig, Di, Iggie, and Igo make the already wonderful name open to further experimentation. Nova is a particular type of star that suddenly increases its brightness and then fades gradually. While it is more popular among the girls, more recently, parents have also begun naming their sons Nova. The Latin meaning of Nova is ‘new’.The name has been popular amongst girls years ago and is slowly making a steady comeback in the public attention. People named Nova have an analytical bend and have a sensitive nature. They might struggle to express what they feel, but seek solace in artistic expression. They usually feel a deep sense of connection to the nature, and seek love, encouragement, and affection from those around them. The fresh, lively and mystical name is undeniably making a comeback of sorts, and has risen the ranks of popularity rather quickly in the past few years. An entire province in Canada is named Nova Scotia. Killian is a popular Irish name that bears a lot of weight and depth of meaning. Despite its Irish translation meaning 'strife'or 'battle', and its Latin and Celtic meaning being 'blind', Killian has become a popular name in the last few years. Killian is popular across Europe, especially the UK and France. It is now considered the male-equivalent of the very common girls’ name ‘Kelly’. People named Killian are often born leaders and value their individuality and independence. They work towards big and important goals, and cherish adventure and excitement. Independence is of crucial importance to them, and they are often restless and rebellious. They are also very creative, imaginative and innovative. Stagnation in life, career or work is something that they abhor and avoid at all costs. A lesser-used variant of Killian is Cillian, which is the original source of the name. Rylie is a female American version of the name Riley, which itself has been derived from an old Irish name which means ‘courageous’ or ‘valiant’. Riley, in different forms, is still a very common surname in Ireland and is an amalgamation of the old English words ryge (rye) and leah (wood) and thus, literally translates to 'rye meadow'. While Riley is mostly a boy’s name, its feminine American alternative, Rylie, is almost an exclusively girl's name. In recent times, Rylie has become a popular baby name all over the world, especially in the USA. Girls named Rylie are active, rebellious and extremely adventurous. They are hard-working, versatile and talented, and can lead ably. They seek challenges and excitement from life, and do not find joy in safe and routine tasks. With shortened versions like Ry, Ryl, and Ryles, the name Rylie, although short in itself, can offer several ways to customise it further. With its roots in Latin, Aurelia has been a popular girls’ name for centuries now. Meaning ‘golden’, the name was shared by many minor early saints and was very common in the Roman Empire. Aurelia was the name of mothers of Julius Caesar, Sylvia Plath, and Arnold Schwarzenegger. Aurelia is rarely found in works of fiction and entertainment, and has hence not become as common as it rightly should have been! The female form of Aurelio or Aurelius, Aurelia has slowly made a resounding comeback in terms of popularity. Since 2012, it has stirred up interest again and many parents have been naming their daughters Aurelia. People named Aurelia are patient, kind, trustworthy and flexible to change. They value independence and freedom above all else. This beautiful name exudes beauty, charm, and confidence, and is sure to make any daughter proud of her name and its wonderful meaning and history. Nico, a derivative of Nicholas, has been a popular name for children all over the world. Nicholas, which translates to ‘people of victory’, is already a pretty well known name, but now parents are beginning to name their children ‘Nico’ as well. While being more of boys’ name for now, parents are slowly starting to name their girls Nico as well. People named Nico are very sharp, ambitious and creative. They value ingenuity and independence, and have no patience to be average. They are masterful leaders and hard workers. Confident, talented and not afraid to be alone, people named Nico are often very successful in life. The name immediately conjures up a cool, artistic and talented vibe, has been steadily climbing the popularity charts in the last two decades, and is still going strong. Going by its rise in popularity, the name Nico is likely to remain very admired in the coming years. The name Ivory means ‘white’ or ‘pure’ and references the subtle hue of ivory, or the tusk of animals like elephants. Generally a girls’ name, Ivory, although of Latin origin, is a popular name in most English-speaking countries. Hundreds of public personalities in the USA and UK have Ivory as their first or last name, yet, the name is unique enough to be revered and appreciated for its beauty. Associated with the qualities of purity and finesse, the name Ivory has seen a resurgence in its usage in the past few years. People with this name are loving, caring and seek stability and appreciation from their family and community. People with the name Ivory are often very successful in their lives, and risk putting their private lives and relationships at risk in pursuit of success. They are responsible, dependable and loyal in nature, and are natural born leaders. They work to seek perfection, peace, and control in their lives. With its origin in Latin, the name Estella means ‘star-like’ or ‘love’. It could be a variant of Asta, Estelle or Stella or a diminutive of Anastasia. The name was exceptionally popular in the last 19th century, but has since been getting lesser attention from the similar-sounding Estelle and Stella. People named Estella are very compassionate and perceptive. They find great joy in the smaller things in life, and are sometimes unbelievably good to others. They are usually blessed with good leadership and communication skills. A character in Charles Dickens’s Great Expectations is also named Estella. While other references to the name in popular culture might be few, the name has managed to evoke interest with its simple pronunciation, sheer beauty and beautiful meaning. With pet names like Stell, Ella, and Stella, the name is slowly proving to be popular among new age parents. The name Caspian has been selling like hot cakes in the last few years and is definitely one of the most popular name for boys in the present times. Its rise in the popularity ranking has been unrestricted, and it continues to be one of the most sought after names for boys today. The name hints of adventure, coolness and royalty. No wonder it has been gaining so much attention from young parents, who are experimenting with new and fresh names. People named Caspian are sensitive, compassionate and are extremely talented in arts and others creative fields. They have the ability to feel and emote deeply and are extremely loyal friends and partners. While the Caspian Sea between Asia and Europe is the largest enclosed water body on the planet, the name has been immortalised by the beloved character of Prince Caspian, a valiant and honourable prince, and later king, in the world of Narnia created by C.S. Lewis. Indra is a popular Indian name which literally means ‘possessing drops of rain’. In Hindu mythology, Indra is also the name of a warrior god of the sky and rain. While culturally it has been a common boys’ name, alongside a popular variation for girls ‘Indira’. Today, however, parents are using the name Indra for both boys and girls. With nicknames like Indie, Dra, Dre, and Indy, the name Indra can be used in a variety of ways lovingly. People named Indra are strong individuals, confident, and are natural leaders. They are likely to be on good terms with all, but friends with a few close like-minded people. Loyal, trustworthy and dependable, people named Indra are extremely caring, but might struggle with displaying that affection. The name is popular across Europe, USA and India, and owing to its easy pronunciation and cultural heritage, is gaining a lot of attention. Reina is a precious Japanese name that can be traced to different parts of Europe as well. In Japanese, a part of the name means ‘wise’, whereas the name is also Spanish for ‘queen’. It is also considered a derivative of the Latin word ‘regina’, which means ‘queen’. The name naturally displays royalty and luxury, and is indicative of wisdom and knowledge. The name is sometimes spelt as Raina or Rayna to facilitate easier pronunciation. People named Reina tend to be responsible and emotionally stable, and are known to have a charming personality. They understand, feel and empathise deeply and appreciate thoughtful expressions of affection. While the name is pretty common in Japan, its popularity is spreading across the entire world. The name’s popularity peaked somewhere in the 1960s but with nicknames like Ri, Rei, and Rin, the name Reina is slowly getting back the public’s attention. Besides Reina, an American dance pop singer, and Reina King, an American actress, most other celebrities who have the name Reina are Japanese. Brahm is a serene and beautiful name with multiple meanings. In Hebrew, it is considered a descendant of Abraham, and means the ‘father of a mighty nation’. In the Indian context, the name can also be considered a shorter form of ‘Brahmand’, which means the universe. The name evokes spirituality, calmness, respect and admiration. The name is easy to pronounce and spell, and almost has a meditative ring to it. Individuals named Brahm are bound to attract attention and curiosity. People named Brahm are independent and have a strong value system and thought process, neither of which is easily influenced by others. Due to its exquisite nature, not many know of or have used the name. As of yet, it is still unique enough to garner the right kind of attention. In India, one might find a few public personalities named ‘Brahm’, especially in the creative and artistic fields. Akira is a newly discovered feminine name that has risen in the popularity charts very quickly. Akira means ‘clear’ or ‘bright’ and is also used for boys in Japan. In Sanskrit, the name means ‘graceful strength’, whereas in Thai it means the ‘sun’ or ‘sunlight’. People named Akira are of a gentle nature and generally do well both personally and professionally. While they might find it tough to adjust to change, they seek perfection, refinement and appreciation from those around them. With its simple phonetic sound, positive meaning and easy spelling, the name has become a hit all over the world, especially in the USA, where it has propelled forward to appear in several top names list since 2010. Nicknames like Akie or Aki, Kira, Kiki and Kiwi can be used for people who are called Akira. A popular Japanese manga comic has ‘Akira’ as its protagonist, and has helped in popularising the name immensely. Ellie, the shortened form of Eleanor or Ellen, has Greek origins and means ‘shining light’. The name has grabbed a lot of attention in the last decade or so, and has consistently placed in the top 100 names in UK and USA. It is also common in France, Netherlands, and Greece. People who are named Ellie are good at understanding things and learning, and tend to be mystics, scholars, teachers and philosophers. They enjoy the company of their thoughts and are considerate and kind. There have been ample of Ellies in television and movies which have made the name popular among masses. There has been an irreversible growth in the popularity of the name Ellie since the turn of the century, and by the looks of it, is likely to go on for a few more years. Pet names like Ell, Els, Ella, Lil also provide ample opportunity to be creative. Loki is a shape-shifting and gender bending god of mischief associated with magic and fire in the Norse mythology. Alternatively serving as a friend and foe to the gods, Loki, as a name, has been getting a lot of attention in the past decade. People named Loki are generally more serious and stable and are generally loving and fair humans. They have the ability to deal with different kinds people effortlessly, and can charm them in a short span of time. Equally efficient leaders and team workers, those named Loki are generally very hard workers. With ‘The Avengers’ universe of Marvel Comics gaining massive popularity, its character Loki, played by Tom Hiddleston in the movies, has also caught the fancy of comic-obsessed parents. With its rapid ascent to stardom only recent, the name Loki is still as unique as they come, and can be considered based purely on its rustic, old-world and mythical charm. This adorable Japanese name means ‘fountain’ or ‘spring’. While it is a unisex name, because of the way it sounds, mostly girls are named Izumi. The name is pleasant, unique and charming, with the perfect balance of mellifluous and depth of meaning. While the name is not particularly common even in Japan, it is a hit among parents who want their children's names to have pleasant connotations. An individual named Izumi will evoke interest and attention by the virtue of their enticing name. People named Izumi tend to be happy, generous and responsible. They are agile, resourceful, and genuinely talented in creative pursuits. With its simple pronunciation, unique charm and almost rhythmic sound, the name Izumi is slowly gaining attention. The name Izumi has also become popular due to Full Metal Alchemist and Digimon. With nicknames like Izu, Zumi, Zum, and Izz, the name provides ample ways to play on its sound further.